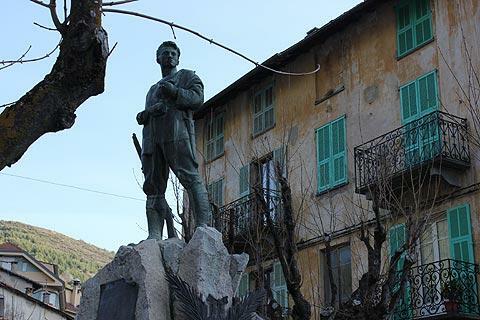 Tende is a small town perched on the side a hill in the Alpes-Maritimes department of south-east Provence, about 80 kilometres inland from the the French Riviera and in the mountains close to the border with Italy. Interestingly it was only in 1947 that the town passed from Italy to France. The town was established in its impressive location because of its position on the route between Provence and Piedmont and this route, which follows the picturesque Roya valley north from Sospel, is still the easiest way to reach the town. Tende falls within the eastern part of the Mercantour National Parc. 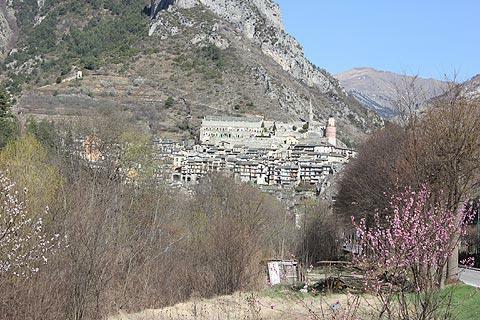 The most striking thing about Tende, given its relative isolation, is the size of the town and in particular the very extensive old center, with numerous paths, roads and alleys to explore (on foot, the roads not being adapted to vehicles). The medieval houses, typically five stories high, are built sturdily from the surrounding rock - even the rooves are in the local lauze. This could be expected to give Tende a rather sombre appearance but in fact is very attractive, but certainly feels like a lived in town rather than a 'tourist' town. It is hard to describe the dramatic contrast if you arrive here on a day visit from the coast, as most visitors do. There is little in the way of renovation that has changed the aspect of towns further south and you certainly feel that you are in a mountain town rather than a riviera town. 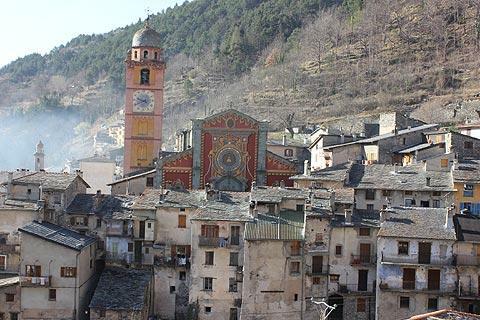 Tende is interesting to explore, with numerous unique architectural features to be seen on the houses and shops, such as carvings and frescoes, as the steep streets climb the terraces of the hillside. The renaissance period painted houses in the central square were built later than the smaller stone houses. 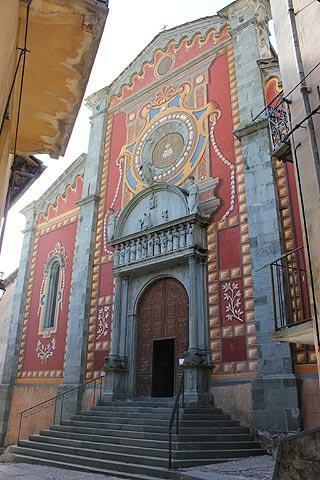 The most important religious building in Tende is the Collegiale Church of Notre-Dame that dominates the centre of the town with its tower and baroque facade incorporating statues of the 12 apostles, and painted in bright colours that contrast with the surrounding houses. Little remains of the church that stood here before the 15th century except the doorway to the right of the main entrance, and the current building dates from 1506. The decorative stone carvings of the 12 apostles above the doorway dates from 1562, and the bright colours of the facade were only added in the 19th century. 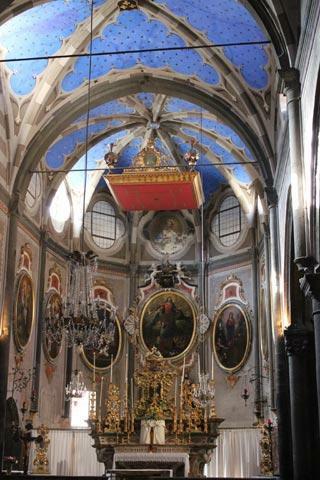 Inside, the church is remarkable for both its size and its decoration with many interesting paintings and statues and a decorative blue ceiling. 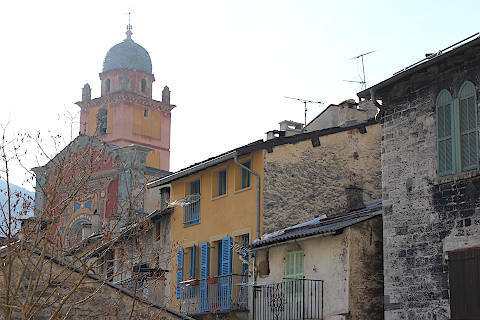 In Tende you can also see the 15th century Church of Saint-Michel, also with a painted baroque style facade, and there are also several chapels of interest including the Chapel Saint-Sauveur, built in the ruins of a castle tower, and the Chapel of the Annonciation. The ruins of the 14th century castle that once stood above Tende - the Chateau Lascaris, largely destroyed in the 17th century - can be visited by following the steep path at the top of the town. The castle ruins themselves consist largely of one single 'spire' of wall that still remains. Particularly notable here is the adjacent cemetery and the lovely views back across the town and surrounding mountains. Back down below the old town the newer part of Tende, along the main road, is of less interest but has most facilities (the old town contains no particular commerces). 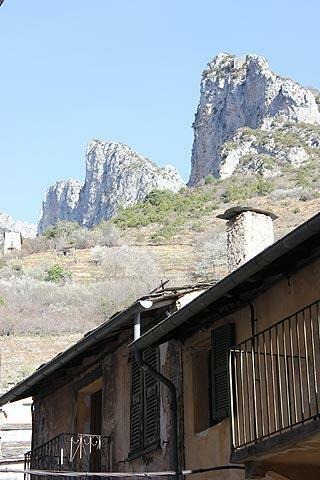 The town also has two 'via ferrata' in the surrounding hills - these are challenging pathways that require the use of ropes, bridges and the wearing of suitable safety equipment but are also an excellent introduction to the surrounding countryside. There are various scenic routes to follow into the valleys around the town. The Col de Tende is one of the most attractive, and follows north from the town towards Italy. 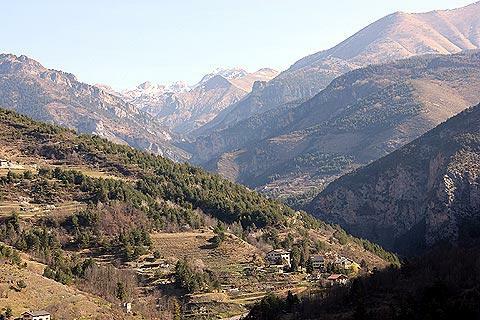 One big attraction close to Tende is the Valley of Merveilles, with literally thousands of prehistoric carvings to be seen in the rocks - your guide will be able to show you the highlights of these. 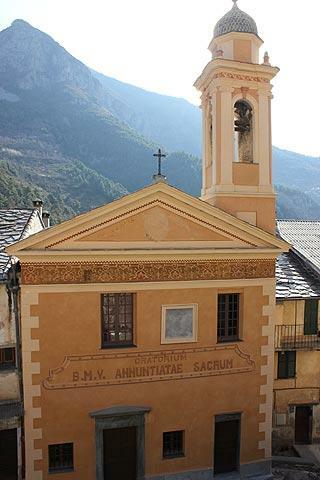 Further examples and replicas can be seen at the museum in Tende, if you don't have the time, inclination or hiking boots to venture into the mountains of the Mercantour National Parc - a visit to the Valley des Merveilles takes about 8 hours on foot or 4 hours if you take one of the organised jeep tours into the valley. There are also several caves that can be visited, including notably the 'Heretics cave' - a hideout for calvinists during the 16th century. 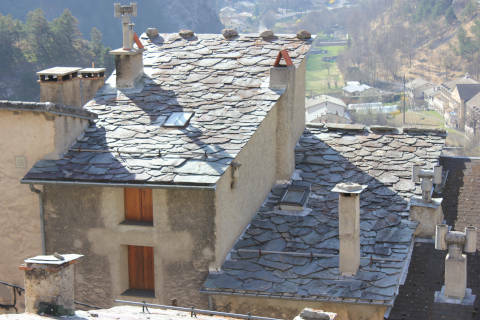 A visit to the medieval village of La Brigue just a few kilometres south of Tende is recommended, with highlights including the riverside position of the village itself and the 15th century collegiate church. Close to here you can also visit the 15th century frescoes at the Notre Dame des Fontaines Sanctuary. Granile to the south and Vivola to the north are other hamlets worth visiting, while at Saint Dalmas you can see the substantial train station built for Mussolini. You can see more local highlights in our guide to the Roya valley.